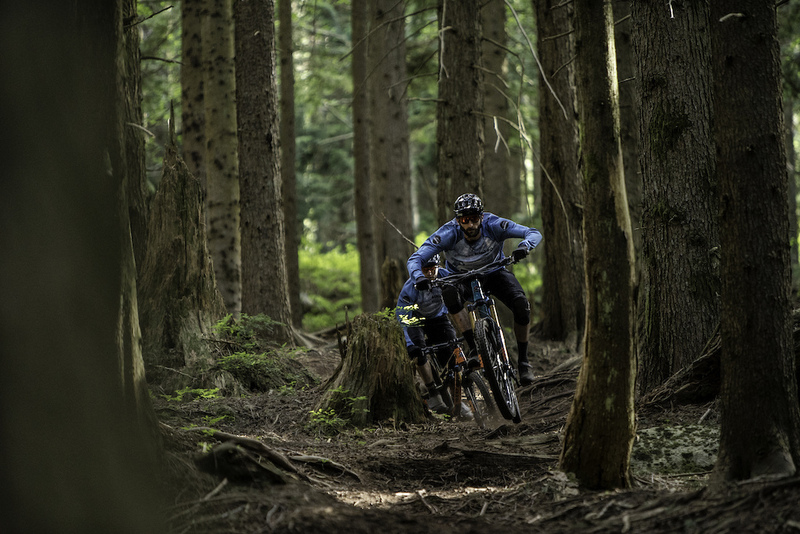 Join Endless Biking's Ambassadors and staff for a lap of the North Shore. 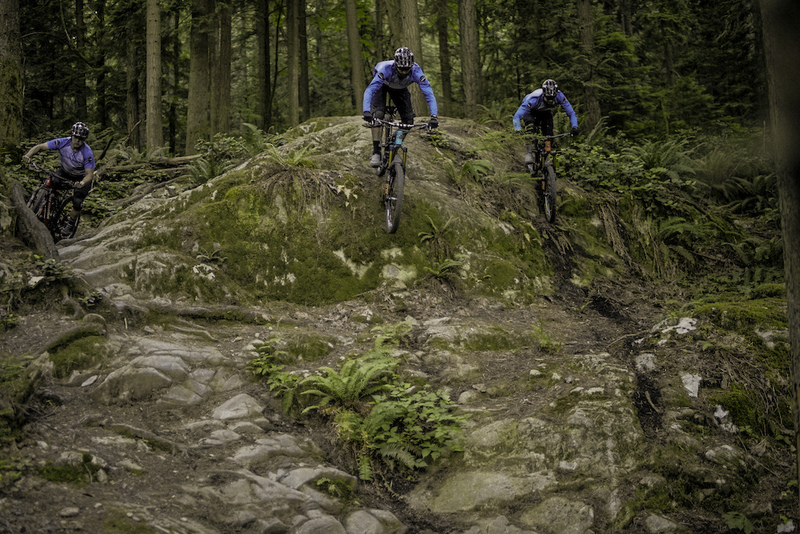 Anthony Boussetta (EB Enduro Team, Instructor & Guide), Levi Harapnuik (Brrrrrrapnuik, EB DH/Enduro Team, Mechanic, Instructor & Guide) and Eric Wong (Program Coordinator, Instructor & Guide) all have a great time riding The Shore together and Petr Basel captured a lap of it for you to enjoy! Does Anthony teach French lines? Ahah how do you know I do? it depends which Frenchline you’re talking about! The fun one for sure, the cheat one I don’t know them! Let’s go shred and share the lines ???? You have to be packing some fresh pocket pies to learn his secrets. @mblar: Pocket pies? who said pocket pies! I want some!!!! miam ... ahah Brooks! I got you! I rented a RM Slayer for my first day on Mt Fromme and the whole experience couldn´t have been better. The bike was set up perfectly, didn´t have to touch a thing, literally rode out from the parking lot with directions from the guys inside. Cheers from the Basque country!! I rented a bike a few summers ago from these guys, and they're top notch awesome people. It must be the jersey style but my first thoughts were "those guys have really, really long arms" and now I can't unsee it. They are simply lanky dudes. Well, our arms have more travel than our forks, same for legs and shocks... so better use it all to make the ride smoother...and faster ! Nice work Eric - Weather Mom's gonna be proud!!! Do they help people shred the nar? You bet! We can teach you just about anything, riding related! Didn´t a bunch show up in Ontario? My 5 YO loved his bike camp and instructors this summer. We will definitely sign him up again next season. I want to quit my job and be a bike instructor! And good thing is @endlessbiking is also conducting the PMBI (Professional Mountain Bike Instructor course) you need to be an instructor... Did you already quit your job ? still not!? Thanks Don! It was fun to film, that's for sure! Nice Video!!!! good people to ride with and always take frenchy lines are very fun !!!! Nice to hear some music from my town! And that my friend, is why Rocky gives them bikes. What trails were you riding??? @igorgoga: I thought I recognized the rock, but couldn't place boogie. Good riding, but I was overly distracted on their matching jerseys. Lol. Damn I miss riding the North Shore! You and me both. You didn't make the same mistake I did and move back to Blighty did you? I'd like to be able to ride like that... Great riding & Great video! What bikes are they riding? 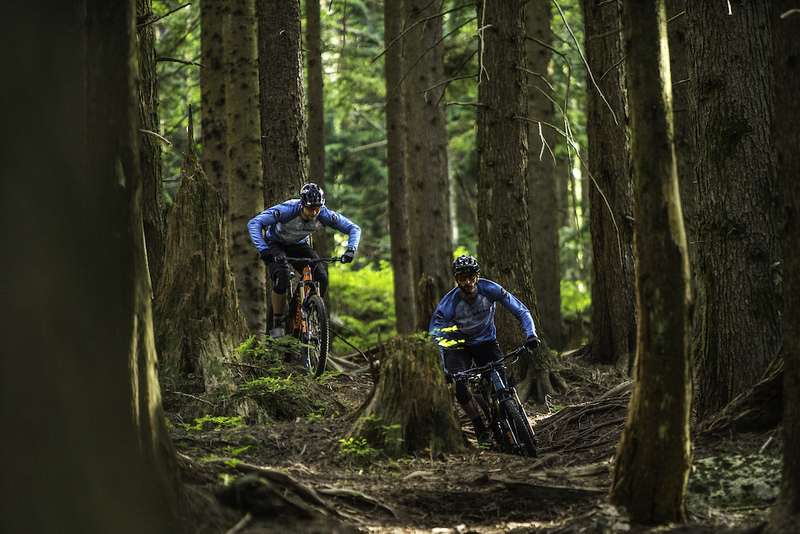 3 guys, 3 bikes : Altitude, Instinct and Element. And good thing : you can rent all the @RockyMountainBicycles at @endlessbiking ! No Cannondale Lefty commerical to start. Finally! I am scared of choppy down sections like some on Dale's. Is it learnable? You bet! We can help! @endlessbiking: Did you send someone out to do a women's camp in Westbank the end of September? We ran into an awesome group over there and the instructor was driving a pickup with an Endless Biking logo on it.